The event has an Orchestra and Musical Dance events by Crazzy Tunes Entertainment. The evening enjoyed the mimicry gala by Mr. Vinod Kumar & Jr Dev Anand. 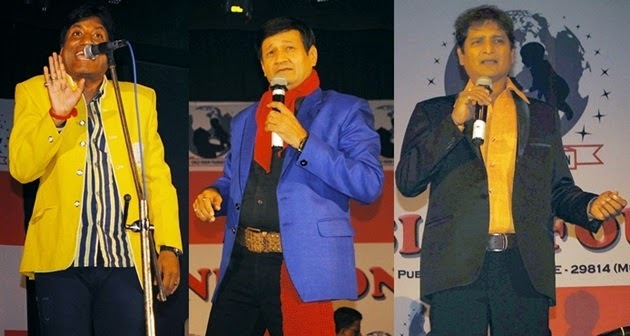 Mr. Kishore Bhanushali they also sung the classic Bollywood songs sung by Mukesh and Kishore Kumar. Magician Atul Patil and Anchor by Ms. Prachi Kewlani enthrall audience by his super acts and the sword cabinet. Child Vision Foundation mission is mostly to help those who in need, specially poor children who cannot afford the cost for their education, orphans, who need help for treatment of life threatening diseases such as Cancer/Tuberculosis/AIDS etc.” Children are the future of our society and if we take care of them properly, our country grows” added Raju Srivastav.